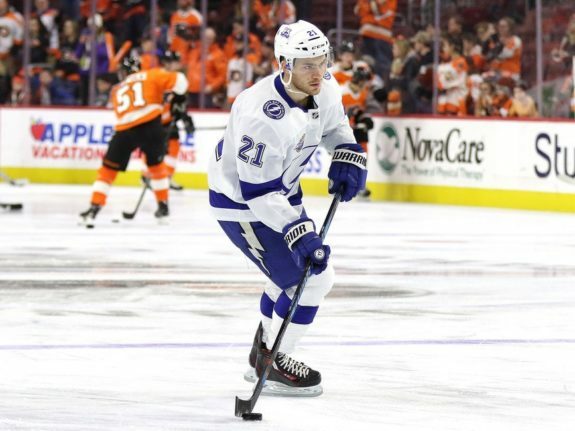 Tampa Bay Lightning | Is Brayden Point the Next Patrice Bergeron? Boston Bruins center Patrice Bergeron has been one of the best two-way forwards since he broke into the NHL in 2003. Bergeron has finished in the top three for the Selke Trophy in each of the last seven seasons and he’s had over 50 points in 10 of his 14 NHL seasons. 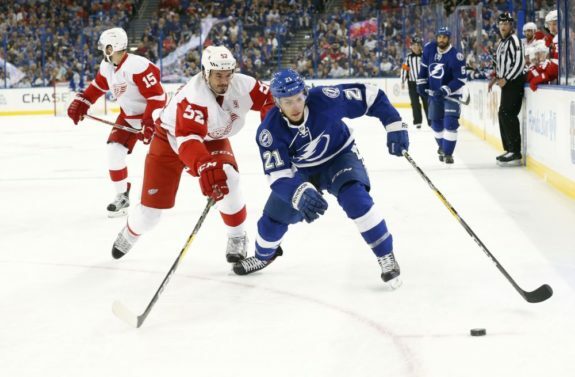 Two years ago, Brayden Point unexpectedly made the Tampa Bay Lightning’s opening night roster and played 68 games for the Bolts in 2016-17. Last season, Point had 66 points and 12 game-winning goals, tied for most in the league with Nathan MacKinnon. He also finished eighth in Selke Trophy voting last season, and he has proven to be one of the up-and-coming two-way centers in today’s game. 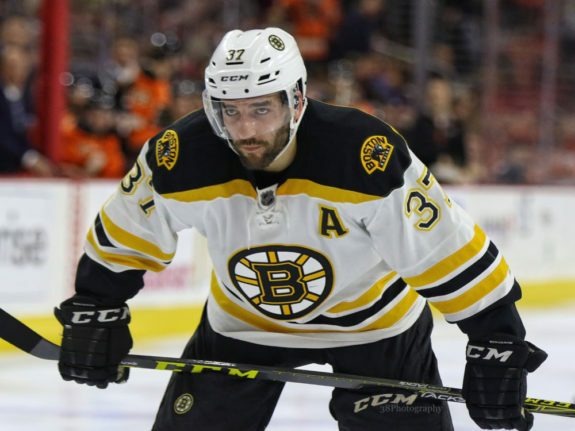 There are some strange similarities between Point and Bergeron, and to compare those similarities, I will look at their statistics from last season, as well as where they were drafted, to see if Point is becoming the NHL’s next Bergeron. Point stands 5-foot-10, 166 pounds, while Bergeron is a larger 6-foot-1, 195 pounds Both are right-handed shots, and it can be argued they are the top centermen on their respective teams last season. Bergeron was taken in the second round (45th overall) of the 2003 draft while Point was a third-round pick (79th overall) in 2014. Yes, there’s a difference in size, but where they were taken in the draft tells me they weren’t highly sought after. There were 18 future NHL All-Stars taken before Bergeron. In front of Point, only Aaron Ekblad and Dylan Larkin have been All-Stars, but that speaks to Point’s quick development as an NHL center. The Lightning took three players before Point in the 2014 draft: Anthony DeAngelo (first round), Dominik Masin (second round) and Jonathan MacLeod (second round). Third-round picks usually don’t turn into No. 2 centers, and given who was drafted in front of Point, he was an absolute steal for the Lightning. Last year, Point had 66 points (32 goals, 34 assists) with 12 of those goals being game-winners. He only had 11 points on the power play, but Point had five points shorthanded (three goals, two assists). He proved to be one of the Lightning’s best five-on-five players and penalty killers but also having the ability to make an impact on the power play. In a similar fashion, Bergeron had 30 goals and 33 assists for 63 points last season. However, as one of the go-to players on the Bruins top power play, Bergeron had 21 points on the power play. He only had three shorthanded points — still decent, but less than in previous years. Bergeron is currently 10 years older than Point, but Bergeron is nearing the end of the prime of his career while Point is still developing. I expect Point’s scoring to increase, especially if the Lightning are faced with injuries to any of their other top players. As for time-on-ice, Bergeron averaged 19:26 while Point was at 19:37, but I suspect more of Bergeron’s ice time occurred in big moments of the game — a big five-on-three penalty kill, up or down with one minute left or in overtime. Much of this time on the Lightning is given to Steven Stamkos and Nikita Kucherov, but Point has proven he is capable of performing when the game is on the line. These are two stats, in my opinion, that make someone a Selke Trophy winner. In 2017-18, Point had 56 takeaways against 23 giveaways, which are strong numbers for a young NHL forward. Last season, Bergeron had 55 takeaways and 42 giveaways. Bergeron’s numbers may look worse than Point’s, but Bergeron played 18 fewer games than Point last season. If Bergeron were healthy throughout the season, I think he would have surpassed Point in takeaways. However, Bergeron is getting older and his numbers may continue to slip over the next few seasons. Since Point is still young, his numbers could increase, especially if he becomes the player the Lightning — and their fans — hope he will be. This is the area of Point’s game that could really use some work. Last season, Point won 47.4 percent of his faceoffs. To put that in perspective, only the New Jersey Devils and the Colorado Avalanche were worse in the dot last season. Last season, Bergeron posted a 57.3 faceoff percentage which is below his career average (58.4) but well above any other team last season. Since his faceoff statistics were first recorded in 2007-08, Bergeron has never had a faceoff percentage below 50 percent. Point increased his faceoff percentage by 3 percentage points since 2016-17 (44.7 percent) which shows his improvement as an NHL center. However, that percentage will need to increase as he develops if he wants to be one of the top two-way centers in today’s game. His faceoffs will also need to improve for the Lightning’s sake considering they were 27th out of 31 teams in the dot last season. Point has become a breakout star for the Lightning, but he may be overshadowed by other superstars like Stamkos, Kucherov, Victor Hedman and Andrei Vasilevskiy. It’s not every day teams can find a center who can score 60 points and also provide stout defensive play, but that’s what the Bruins have had in Bergeron for 10 seasons, and the Lightning hope that’s what they will have in Point for years to come.